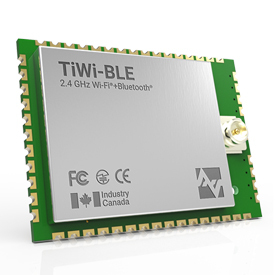 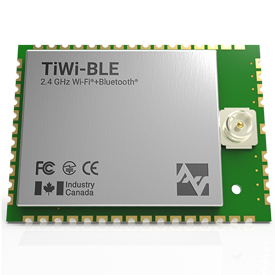 The TiWi-BLE Bluetooth and Wi-Fi combo module is a high performance 2.4 GHz WLAN IEEE 802.11 b/g/n, Bluetooth 2.1+EDR and Bluetooth 4.0 (Bluetooth Low Energy) radio in a cost effective, pre-certified footprint. 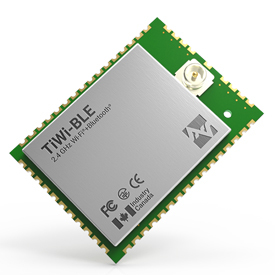 The module realizes the necessary PHY/MAC layers to support WLAN applications in conjunction with a host processor over a SDIO interface. 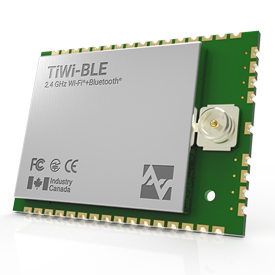 The module also provides a Bluetooth platform through the HCI transport layer. 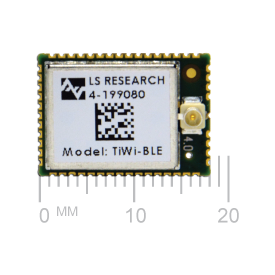 Both WLAN and Bluetooth share the same antenna port.